We were quite tempted to gift you with a set of printable focused on fun to help you highlight our last summer holiday. Instead, we are going to share the signs for five really wonderful professions that will spark your child’s imagination. Teaching our little ones about work will expand their horizon and will help you communicate more effectively during transitions such as heading to the office after dropping baby at daycare or during stressful situations like visiting the doctor or the dentist. To print your flash cards and watch the video click on the corresponding link below each picture. Want to go beyond learning this set? Why not get the baby sign language collection with kits that compile the best available resources on the web to teach your baby how to sign. Our premium kit has 12 signing resources inclusive of the most popular Signing Time DVDs with songs and games that will keep your baby engaged and happy while learning how to communicate his wants and needs. In this video Etta signs over 25 signs relevant to daily interactions like eating, getting dressed and exploring the world around her. At about 1.31 minutes into the video Kristin asks Etta if she wants to continue signing to which Etta replies with a “more”. We also love how she is starting to use her words and using the signs for emphasis. Here is Etta’s story as told by her mom Kristin. Thank you Kristin for making us part of your baby sign language journey. We really appreciate your efforts and enthusiasm. The picture above is Etta at about 10 months old. During Thanksgiving she signed “more” for the very first time. Below you can see Etta hard at play and full of joy. Etta is such a smart and happy baby! “Vidah Mía is a 16 month old baby girl. She is the youngest of 3 children (my first, my husband’s 3rd). We started using Baby sign language premium package last March, when she was 12 months old. Repetition of the signs while vocalizing the words has been the strategy that has helped us. Initially we started using words she would be exposed too frequently, such as water, milk, mom, dad, more, diaper, etc. She has learned very quickly, so we started introducing new signs as she was growing up with things that were more fun, like airplane, slide, etc. Not only she has been able to communicate her needs to us with consistency and on time, avoiding stressfull crying or screaming on her part… But also it has helped us identify things she loves, like animals. Also it has helped us have her communicate with her siblings and grandparents, who live miles away from us. They have been learning as well as we have, which makes our conversations via facetime more fun and with lots of things to talk about. Vidah has demonstrated to learn how to vocalize words faster than we expected.. Plus she is learning 3 lamguages at the same time (Spanish, English and Signing), which we are sure will open many doors for her in the future. As for challenges, it does consume time and effort, specially with words that you dont use frequently. But, we only see it as qn opportunity to develop and grow, not only her, but us as parents. Organizations skills, patience skills, teaching skills, learning a new language as well. Just making it part of our daily activities has been a good strategy”. Thank you Veronica for keeping us abreast of her progress. It has been a pleasure to watch her grow and learn. We can’t wait for our next update. When it came to adding new signs we hesitated to include the five magical Ws and the powerful M. If you have any experience raising a toddler you probably know why. Toddlers are little inquisitive sponges whose only goal in this life is to ask questions. About 437 per day. If you are the happy parent of one you can proceed at your own risk. If your little one is already forming compound phrases and asking questions galore go ahead and print out these beautiful freebies. These awesome signs will give you hour after hour of engagement and will empower your little one in areas associated to discovery and development. New to signing? Why not consider including a baby sign language kit to your educational resources library. Baby sign language kits will amplify the learning experience and empower your pre-verbal child setting the stage for a lifetime of learning success. “Babies are sponges” We hear it all the time and it is a great reminder to parent intentionally. When we parent, we often forget that it is a two-way relation where both participants grow and learn. Today, we are setting time aside to share with you five ways in which teaching your baby how to sign is radically transforming the way you relate to your child and setting the stage for a life of effective parent-child engagement. Our gaze is one of the most important and primitive means of communication. Where, when and how we look at others determines the tone of the relationship. When we first begin teaching our babies how to sign, we are naturally directed toward visual engagement. We look at our baby and do whatever is needed to have our baby visually engage with our hand movements. Through this exercise our little ones begin to learn how to read emotions and most importantly they learn about proper responses. When you are working on teaching your baby how to sign make certain there is clarity in your expression. If you are signing something sad, make sure your face follows, similarly, if you are teaching your baby signs like happy or play make a joyful face and let your eyes sparkle. Early on when we are teaching our babies how to sign we are able to incorporate a variety of methods. When observation is not sufficient we can reinforce a sign through hand modeling. When we hand-model a sign for our baby we gently guide their hands with ours and help them position their fingers to match the sign we are trying to teach. When we model a sign we are provided with an opportunity to affirm our affection through touch. Make certain your approach is tender and natural. Through gentleness on how we touch our babies we can increase their trust. Knowing what your baby needs and wants can radically change the way you parent. Early on, meeting basic needs associated to nourishment, temperature and comfort can make a world of difference in the way your baby perceives you. When a preverbal child is able to convey immediate needs he or she will have a sense of fulfillment that can’t be replaced. Our job as parents is to help our children to be the best that they can be without compromising their personality, natural curiosity and personal preferences. 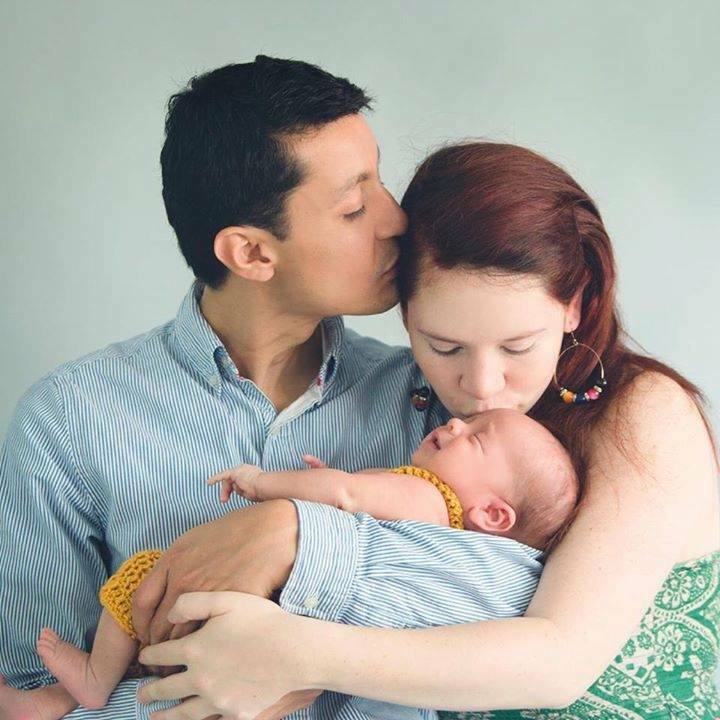 Through having the ability of communicating ideas early on in their life your baby is empowering you to help him make the best of who they really are. The little things that capture their hearts can be cultivated and maximized giving them a helpful head start. One of my little nephews was quite passionate about signing water and swimming. Five years later, he swims competitively and truly delights in other water sports like sailing. Not all of us have the opportunity or vocation to be stay-at-home parents. If we are among the many who relies on others for childcare, baby sign language can empower your little one to overcome the stress of transitions and change. Basic baby signs can help your baby feel more in control while helping you having radical peace of mind. Work side-by-side with your caregiver to make certain your little one is understood and his needs are being met. Signs like thirsty, cold or hurt can help a child quickly address discomfort and can give you a sense of peace while you are at work. You too can begin signing with your baby with the help of our beautifully designed teaching resources. Fares learned to sign using the Baby Sign Language Ultra Kit. The ultra kit has 12 different resources that can be used from birth until preschool. Meet our little friend Fares. His parents Luisa & Fernando have been hard at work teaching Fares as many signs as he is willing to learn. Not only is Fares learning baby sign language, he is also hard at work in expanding his English vocabulary as well as his native language, Spanish. A few weeks later, my son started recognizing the sign but, most importantly for us, he began trying making it himself. The next word we tried was “Water.” Since he likes water so much, that was an easy word and it didn’t take long for him to learn it. After that, we fully fell in love with the idea of signing. My husband and I bought one of the BSL kits that had 4 DVD’s, the poster and the dictionary. He quickly absorbed all the signs concepts and ideas from the DVDs. Now that he is 1 year and 5 months old, he knows almost all of the words in the videos, he has learned all of the signs of the poster, he asks what is the word for things he doesn’t know and we are learning new words through the dictionary, the online videos on the BSL web page and other ASL sources. He has also began putting sentences together by combining two or more signs. Our greatest challenge has been teaching him the words in both English and Spanish (since we are from Guatemala,) and to have some of the people we know understand that sign language does not hinder spoken communication. What we love is to show them what our son knows in sign language so they can see what a great help it means when you are trying to understand your son or daughter. Our next goal is to increase our son’s vocabulary and start a full sign language communication program so he can fully communicate in sign language with other people and, perhaps, become an ASL interpreter. The other night we watched music videos interpreted in sign language and our son – as well as my husband and I – were fascinated at the art of signing and music combined. Luisa is first and foremost a mother to Fares, she is also a teacher, journalist, certified infant massage instructor and Doula in training. She hosts baby sign language classes and play groups in Guatemala City, and always has a word of encouragement for new mamas. Meet baby Theodora. At 18-months old Theodora knows signs that help her communicate needs and explore the world around her. Baby Theodora loves signing, with the help of her mom who is a counselor, Theodora is able to replace screaming, crying and tantrums with signing to help her parents, relatives and caregivers give her exactly what she wants and needs. Baby Theodora’s mom uses songs, contextual signing and baby sign language flash cards to help her learn signs. In addition to learning signs baby Theodora is also learning English as her second language. We are so proud of Theodora’s mom Florence for her efforts in teaching her how to use baby sign language. We asked Florence to share with us her baby sign language journey. “I am a Counseling consultant developing a multiple intelligences playgroup programme, I find out that my clients are concerning when their baby start expressing themselves and how many words they can says. More and more babies and children are using crying, screaming, shouting to express their need instead of proper communication. When I saw the the videos of Baby Sign Language website, I was impressed by how babies can communicate before they are able to talk! So I decided to start out signing journey with my 18 months old daughter Theodora! She was able to speak short phrases and able to sing ABC, 5 little monkeys, fingers songs, twinkle twinkle little stars and head and shoulder knee and toes by herself clearly. At first, I am worrying she was a bit late to start as she was able to communicate already. To my surprise, she really loves the songs and video in the DVD, and was eager to initiate to listen and dance by taking out the DVD from the box, putting the CD into the player and press play all by herself! If you are ready to start teaching your baby how to sign you can join Theodora and begin using the beautiful resources available in the Ultra Baby Sign Language Kit. The kit contains 12 Resources inclusive of the most popular Baby Signing Time DVDs and CDs. Regardless of your parenting style we can all agree that manners do matter and are often the key to successful social interactions. We all want to raise pleasant well integrated kiddos whose heart is always in the right place. With this in mind we are all looking for ways to effectively teach abstracts like gratitude, empathy and cordiality. When we teach baby sign language we do it with the main goal of equipping our babies to convey basic needs. It is all about empowerment and making the pre-verbal stage more bearable. The first baby signs that you teach your baby should always be associated to primary needs. Go for the basics and work on those signs until your baby masters them. Once you have a basic foundation you can move to the next stage of learning and begin incorporating abstracts. Teaching our babies about thankfulness is all about us. From birth we can instill a culture of gratitude by consistently thanking our baby for appropriate behaviors and thanking others when our baby is watching. Thank your older child for fetching a bottle or a diaper using a sign combined with words and always making sure your voice is full of positivism. Consistent gratitude is contagious. Pass it on! Mealtime is a fantastic setting to learn thankfulness. Let your toddler help out and thank him for his helpfulness. Sign please when appropriate and use your thank you sign every time an opportunity arises. There are many wonderful books suitable for the first years that tackle manners through storytelling. Babies love to participate in interactive reading. Invite your baby to sign please and thank you when appropriate as your read a story or a poem about gratitude. Pick a well known thank you song or invent your own. Singing is a great way to trigger recall and it helps in forming habits that embrace gratitude. We have a thank you song we sing to grandparents and one we use during our evening prayers. Teaching your baby manners is a habit he will cherish for life. Get started today. To download your free Thank You baby sign language flash card click here. When we talk about baby sign language, it is often in light of our pre-verbal child who is hard at work learning to communicate basic needs. We mostly focus our teaching and learning on signs that empower like food or objects that are meaningful to our baby. As our babies grow, in particular when they are approaching the “terrible twos” we may want to shift focus and expand their signing vocabulary in a way that facilitates and encourages emotional connections with those around them. Emotional connections for babies and toddlers can be achieved when our babies have words or signs that allow them to convey how they feel, as well as signs that equip them to serve, care and encourage others. Teaching our toddler to sign afraid will allow him to quickly seek help, comfort and refuge in moments of high stress. You can find the free printable flash card for the sign Afraid here. Teaching your baby signs that can facilitate effective social interactions often leads to a child that is welcome in a variety of social settings. The natural drive of a little one is generally aimed at survival making the sign take turns something that we want to teach later rather than earlier. You can find the free printable flash card for the sign Take Turns here. The sign for listen works both ways. It allows your toddler to ask for your attention and invites him to focus on others when applicable. For example, you can encourage your toddler to listen to a friend while it is their turn to speak. You can find the free printable flash card for the sign Listen here. This is a sign you may want to introduce only if your child displays aggressive behaviors. By having a code by which you can encourage good behavior without embarrassing your child you give him or her an advantage and the opportunity to quickly correct their behavior and move forward with social interactions in a positive note. Signing: To sign don’t hit you will punch your index of the non-dominant hand with your dominant fist while moving your head side to side communicating a negation. You can review a video of the sign for don’t hit here. Showing our babies how to communicate a sense of repentance for something that may have offended or caused pain to a fellow human is essential when building empathy. Because this is a complex concept to grasp we teach it by example and repetition. We express how sorry we are when we realize we have wronged our baby or another person. You can find the printable flash card for the sign Sorry here. Are you ready to get started? Why not buy the Ultra Baby Sign Language Kit. The kit includes 12 excellent resources that will take your baby from birth until preschool as you explore together the joys of communication. • Baby Signing Time! DVDs Vol. 1 – 4 (4 DVDs & 4 CDs) – baby learns new signs while enjoying Rachel Coleman’s award-winning songs. DVDs and bonus CDs are included for fun at home and on the run. • Baby Signing Time! Board Books Vol. 1 – 4 – enjoy the benefits of reading plus signing while keeping baby entertained. • BSL Guide Book – learn to sign faster and have more fun. The book begins with a Quick Start Guide that will teach you your first signs and have you ready to sign in 30 minutes. As your baby progresses, you can delve into more advanced topics like combining signs to make phrases, using props, and transitioning from signing to speaking. • Signing Dictionary – contains over 600 signs including the most common words, the alphabet, and numbers. The dictionary helps you expand your child’s vocabulary and has the breadth of coverage that lets you follow your child’s interests. Each sign is illustrated with two diagrams, showing you the starting position, the ending position, and intermediate motion. • Flash Cards – 52 sturdy board (4×6 inches) flash cards, covering a variety of basic signs. The flash cards allow you to teach words such as animal names, that Baby is not exposed to in everyday life. The face of each flash card shows the word and image for the child. The back of each flash card shows how the sign is performed, a convenient reminder for the adult. • Wall Chart – the 24′ x 36′ wall chart includes 17 basic signs, and is a great resource for caregivers. The Baby Sign Language Wall Chart covers basic signs, like eat, drink, and sleep. Hang the poster in Baby’s Nursery to help babysitters, or other occasional caregivers learn and decode the most commonly used baby signs. There are many parenting styles but all hold certain commonalities. Among the most important ones is the desire to raise babies with high self esteem and deep sense of confidence. Baby sign language is one of many resources parents can incorporate to ensure empowerment and give babies a head start when it comes to confidence. One of the first interactions you will have with your baby is through visual engagement and focus. From the very start you can begin signing emotional signs that convey encouragement and affection making sure you utilize voice intonation and facial expressions that support the sign. Equip your baby to make associations between a sign and the sense that he or she is loved, appreciated and able. One of the most important aspects of baby sign language is having the ability to communicate with your pre-verbal child and being able to respond to their basic needs. Responsiveness to early cues lets you baby know that he or she is valued and boosts self confidence as well as trust in others. This is particularly relevant with signs associated to basic needs such as food, warmth and conveying pain. We all need a cheerleader. Baby sign language gives your baby the opportunity to have early achievements that can be celebrated. As he or she progresses make it a point to respond enthusiastically each time he or she makes an effort to mimic a sign. Micro-celebrations set the stage for a happy and confident child. A child that feels understood from the very beginning is far more likely to develop a strong sense of confidence and a deep connection with their parents and caregivers. Through equipping your baby with basic signs and responding to the signs by meeting their basic needs your baby will know that you are there for him. Every baby is different. From the moment your child is in the womb you will become familiar with the nuances that make him or her unique. Through properly responding to their temperament you will foster self-assurance and equip your baby to embrace who they are from the very beginning. Teach your baby emotional signs such as angry, sad and happy to help them convey their emotions. To get started with baby sign language visit our quick start guide or order our comprehensive kits curated to meet your baby signing needs from birth to preschool. I can’t begin to tell you how much I love receiving mail and Facebook questions from new parents wanting to validate their efforts and progress and asking for guidance to ensure their babies are exposed to the very best learning opportunities. So, you are an early starter and you began signing to baby the day he was born. You sign milk to baby before meals and always reinforce signs like mom and dad through songs and through daily engagements. In fact, while you were on bed rest you memorized the whole Baby Sign Language Teaching Guide and you hope your little one is able to begin communicating even before he is able to hold his little head up. If you are this type of parent I have good and bad news for you. The good news is that your baby is in fact learning. He is thirsty for knowledge and is processing everything that surrounds him. The bad news is that you are unlikely to have a little signer this early in their development. There are precocious outliers who begin signing milk as early as three months but they are exceptions. During this time look for signs like visual focus, smiles and engagement when you sign. Emotional responses show that your little one is beginning to comprehend the sign in context. This is an exciting time in early child development. You will begin to see beautiful milestones associated to sensory responses, motor skills, and communication. Chances are your baby will begin using both hands to explore objects, he will be able to roll tummy to back and back to tummy and you will see significant responses to speech and movement. If you have been signing consistently you are likely to see rudimentary attempts to mimic the sign. For example, when you are signing milk your baby will move his arm and hand and may attempt to open and close it. During this period your baby will learn to sit without support allowing you to more comfortably model signs and show him or her flashcards. Chances are there will be increased interest in chunky books and improved focus on near and far objects inviting you to teach signs that have increased complexity as you work together to discover the world. It is not uncommon for babies to begin demonstrating clear signs specifically those related to objects that they see daily such as food, family members and favorite objects like fans. Most of the babies that sign during this period were exposed to signs from birth. If you have been anxiously waiting for your little one to have a signing and communication explosion. This is the time that you are likely to encounter beautiful surprises. Your baby will enjoy listening to songs and will visually follow signing associated to sing-alongs. He or she will begin imitating speech and may say words like mama and dada. This is a transitional time where signing serves to provide clarity when your baby is frustrated and in need of something immediate and basic. Try to give your baby new signs relevant to the needs that he or she is likely to face. While baby sign language is transitional and intended to help the preverbal child you may want to continue signing and expanding their vocabulary. Through exposing them to new signs your baby will have improved fine motor skills and will learn the basics of multilingualism. In is not uncommon for toddlers to learn and use over 100 signs and combine signs together to form phrases and convey concepts. At www.babysignlanguage.com we have curated the best resources to teach and learn baby sign language. You can select from a basic signing kit to a 12-piece ultra kit that will have your baby signing in no time. Visit our store to find the kit that best works for you. Have questions about baby sign language? Email us at [email protected] or join us on Facebook to keep the conversation going.